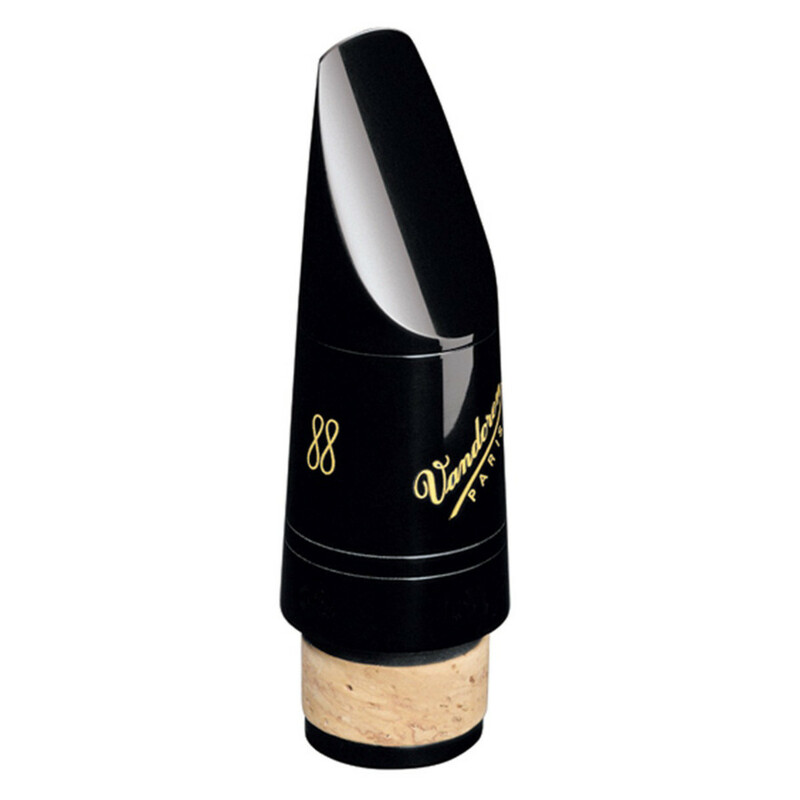 The Vandoren CM310 Profile 88 5JB Clarinet Mouthpiece has set the standard for being THE Vandoren Jazz mouthpiece for clarinet with its large tip opening and long facing. The mouthpiece is the choice purchase for intermediate and professional performers looking for a punchier jazz sound. The beak on the CM3108 Mouthpiece features the profile 88 design. This has a shallower beak on the mouthpiece, giving a variety of different consequences. Most importantly, the mouthpiece is more comfortable to play, allowing the performer to hold the clarinet in a more horizontal position than than a traditional vertical design. The 5JB is one of Vandoren's best selling mouthpieces due to its direct, jazz sound. It is favoured by many Jazz clarinetists due to its wide tip opening and long facing. This means that the clarinetist has a wide spectrum of colours and timbres available as well as excellent projection which can be pushed to the max without fear of overblowing. As a result, this mouthpiece is a popular choice for intermediate and professional clarinetists all across the world.